Bamboo is a natural fiber like cotton and linen. Unless your pajama is heavily soiled, use cold water and the gentle wash cycle for regular care. For heavy soil, use warm water in your washer and allow clothing to presoak to remove excess soil. Never use hot water for regular washing when cleaning bamboo, because it can cause the fabric to shrink. It is best to let the pajama air dry. If quicker drying is needed, use the low heat cycle of the dryer. If I am in between sizes, should I go up or down a size? People that are in between sizes should order the next size up to ensure the proper length of the sleeves and the pants. 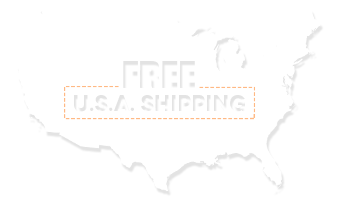 At this time, Lulabae ships to the US and Canada only. We are happy to take orders via phone if you do not wish to place your order online. We can be reached at (818) 568-4243 and are open Monday – Friday from 9AM to 5PM PST. Lulabae accepts Visa, MasterCard, American Express and Paypal. We do not accept cash, checks or C.O.D. Is it safe to use my credit card on Lulabae.com? Yes, shopping at Lulabae.com is safe. We use the latest version of Socket Layer Technology (SSL) to encrypt your information and keep others, excluding you and Lulabae, from accessing it. Lulabae is committed to respecting the privacy rights of our customers and all visitors to our web site. We do not share you personal information with any other companies. Is it too late to make changes to my order? In order to provide our customers with the quickest possible delivery, we ship all orders within a very small window of time after an order is placed. If you have already placed an order and wish to change it, please contact Lulabae with your order number. You may contact us at (818) 568-4243 and please remember to have your order number ready. We are open Monday – Friday from 9AM to 5PM PST. The length of time it takes to receive your order depends a great deal on the method of shipment and where the shipment is going. We ship most orders within 2 business days. A typical order shipped by FedEx to an address in the Continental U.S. will take from 4 to 8 business days to reach its destination once it is shipped. See Ordering & Shipping for more details.